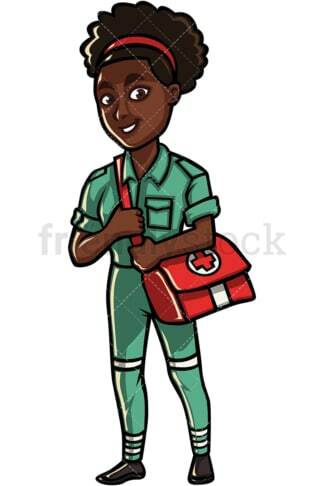 Royalty-free stock illustration of an African American woman medical professional, wearing a big smile on her face and carrying a first aid kit. Royalty-free stock illustration of a friendly African American female police officer smiling and waving. 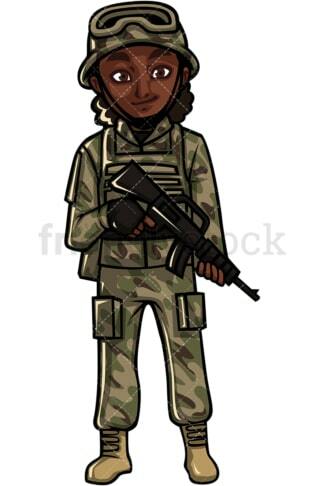 Royalty-free stock illustration of an African American woman of the armed forces, in uniform, holding a gun. Royalty-free stock illustration of an African American woman firefighter in uniform, holding an axe. Royalty-free stock illustration of an African American woman pilot of a commercial airline doing a military salute. 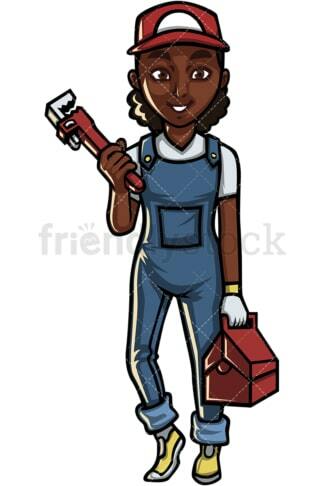 Royalty-free stock illustration of an African American woman in uniform, holding a plumbing wrench and a toolbox. 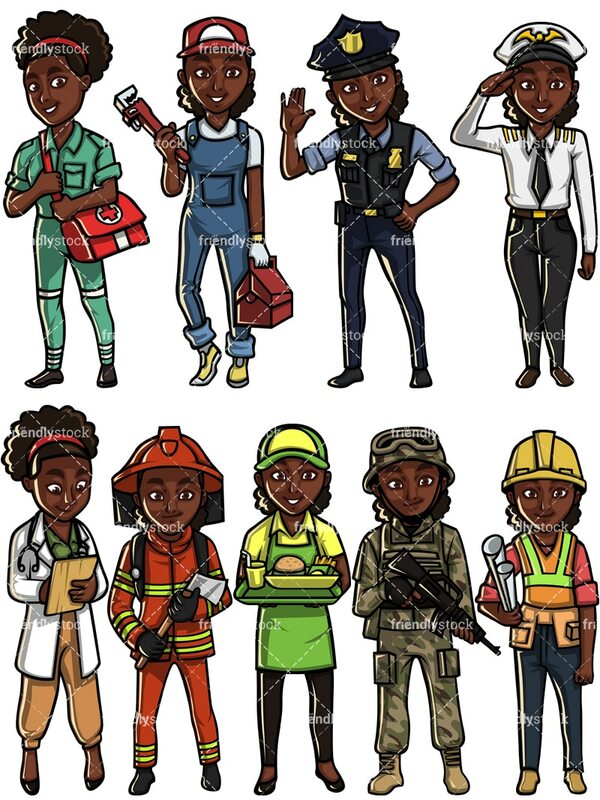 Royalty-free stock illustration of an African American woman architect holding construction plans while wearing a hard hat. 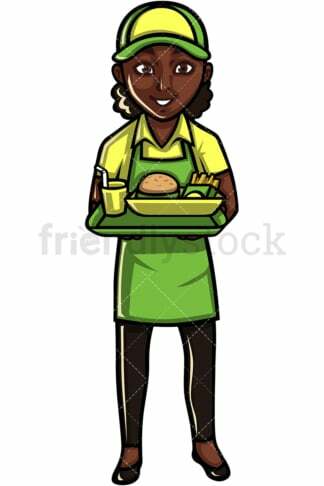 Royalty-free stock illustration of a smiling African American woman in uniform serving food on a tray. Royalty-free stock illustration of an African American woman medical practitioner taking notes on a clipboard.